As my sewing has picked up, my reading has slowed down (I should look into audio books). Just the same, I'd finished the books I had checked out so I swapped them in for new ones. 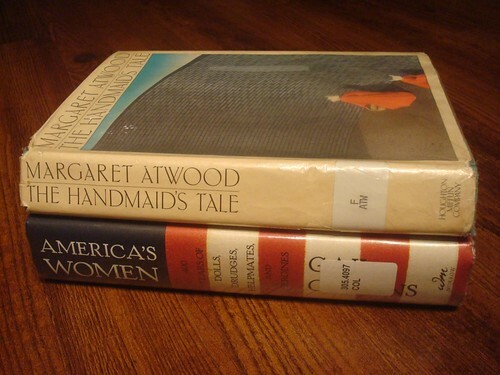 The Handmaid's Tale is a classic in feminist literature, but it also just sounds really interesting and I'm excited to start it. America's Women is one I found through Good Reads which I think will start to give me an idea of the history of women's rights in America.